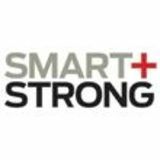 At Smart + Strong, we know that when you are armed with expert, unbiased health care information; when you are empowered and inspired to advocate for your needs; and when you can connect to others dealing with a similar health condition, you are more likely to survive-and thrive. Smart + Strong's health-focused magazines and websites bring together large, diverse populations to share lifesaving information with them and to serve as platforms for you to tell health care providers, insurance companies, the media, our government and especially each other what it's like to live with—and overcome—a given health challenge. Our brands include POZ Magazine, POZ.com, Hep Magazine, HepMag.com, Real Health Magazine, RealHealthMag.com, Tu Salud Magazine, TuSaludMag.com, Cancer Health Magazine, CancerHealth.com and SaneMag.com.